The Hugo Throssell Citizenship Award, named after the famous Australian writer’s husband, will be an annual honour. The Northam-born soldier was decorated with the highest award for bravery, the Victoria Cross, after he fought in the Battle of Hill 60 at Gallipoli in 1915. He was the first West Australian and the only Light Horseman to receive the decoration during World War I. However, he was haunted by horrific memories of the battlefields and on his return home, he and his wife became pacifists. KSP Writers’ Centre director Shannon Coyle said the local soldier’s personal values remain true to the Anzac spirit. Above all else, he valued mateship, responsibility, respect and leadership. 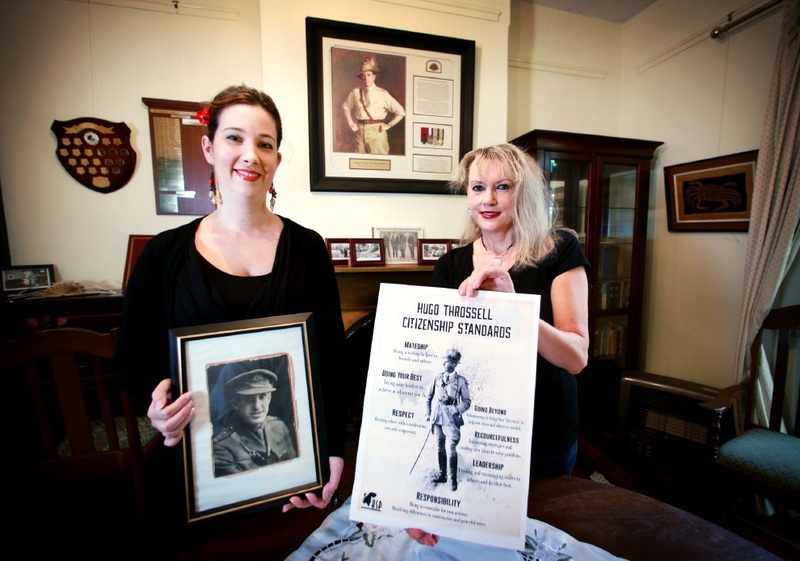 Through the competition, Ms Coyle said she hoped young people would aspire to the Anzac values. “It’s an honouring of the Anzac spirit, a remembrance of fallen World War I soldiers, and a way to carry on Hugo’s wishes for a better, more peaceful world,” she said. In the biography My Father’s Son by the couple’s only son, Ric Throssell recollects his father teaching him the values even when life was hard. School principals are invited to nominate a student who demonstrates the Anzac Spirit values, along with the standards of ‘doing his or her best’, resourcefulness and going beyond. The winner and two finalists will receive cash and book prizes, certificates and an annual membership to the KSP Writers’ Centre in Greenmount. The deadline for entries is 5pm, October 7.